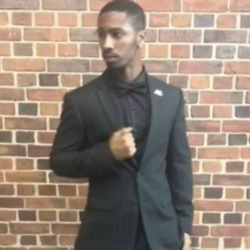 DeAndre Marquise Ballard, a North Carolina Central University student was shot and killed by a security guard last week at an off-campus apartment complex, officials said Monday. Around 10:15 p.m. on Sept. 17, officers with the Durham Police Department responded to the Campus Crossings at Durham apartments, in the 1400 block of Cornwallis Road, where they found 23-year-old DeAndre Marquise Ballard suffering from a gunshot wound. Ballard was transported to a local hospital, where he died. Ballard's friends and family originally thought he was missing. Three days after the shooting, police connected the missing person report filed by the family to the shooting on Cornwallis Road and notified Ballard's family of his death. Deauntae Grimes, a lifelong friend of Ballard's, said he was a man of faith and someone who was always willing to help. The security guard who shot Ballard works for the NC Detective Agency. The company said it stands by his actions and that the guard shot Ballard in self-defense.